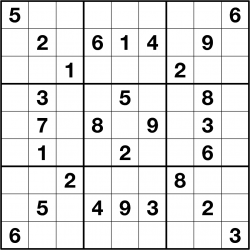 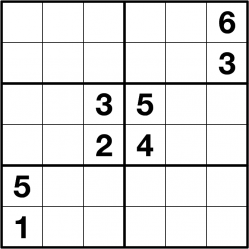 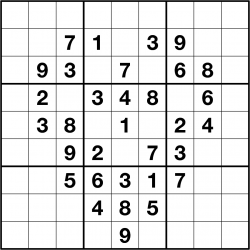 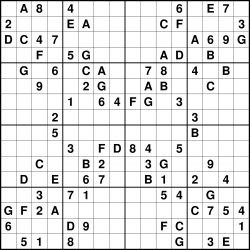 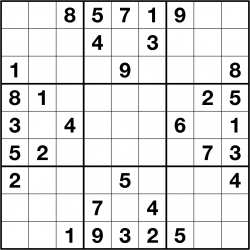 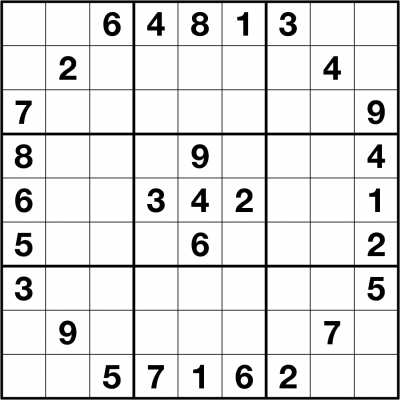 A standard 9x9 Sudoku puzzle consists of a square grid, with bold lines every third square in order to sub-divide it into nine 3 by 3 boxes. 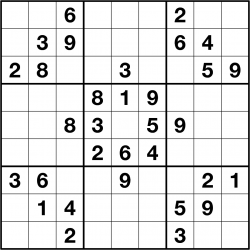 The aim is simple: place the digits 1 to 9 into the puzzle grid so that each digit occurs once in every row, column and bold-lined 3 by 3 box. 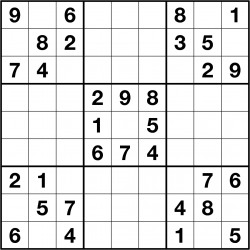 Some digits are already given - these constrain the puzzle in such a way that there is only one possible solution, which in a proper Sudoku can always be reached via reasonable logical deduction. 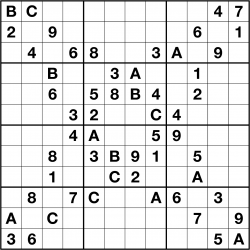 Guessing is never required. 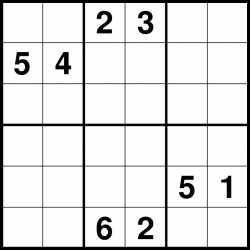 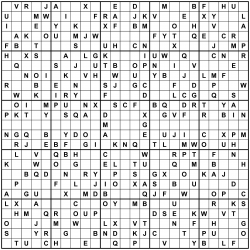 We can supply Sudoku puzzles in any size and with virtually any variation you can imagine - from Sudoku-X and Jigsaw Sudoku through to more esoteric varieties such as Inequality Sudoku and Skyscraper Sudoku. 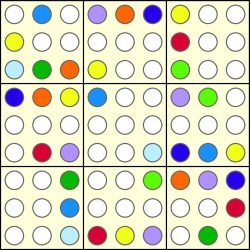 Click the pictures below to view details on some of these variations. 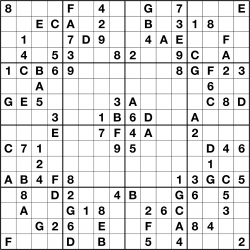 All of our puzzles are either entirely hand-made or have significant manual input into the process.